After chronicling the rise and fall of the 1998 U.S. national team, Roger Bennett -- like Marty McFly in Back to the Future -- jumps into the DeLorean, sets the coordinates for present day, and blasts through space and time to return to 2018. Where he learns the Americans are once again mired in a World Cup fiasco. 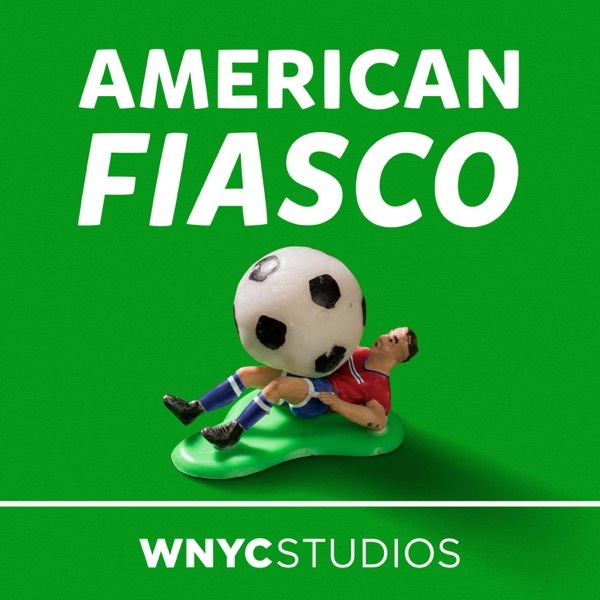 Fortunately, the smoking-hot time machine has returned him to a studio at WNYC, where Roger sits down to talk with Freakonomics Radio host Stephen Dubner about the 2018 World Cup, including the U.S. team’s failure to qualify for the tournament. They also deliver a primer on all the compelling drama that will unfold in Russia over the next month, including Lionel Messi’s quest for vindication with Argentina, Cristiano Ronaldo’s eight-pack, and the Icelandic underdogs who swear they have Viking blood coursing through their veins (but are also being coached by a part-time dentist.) Plus, Roger learns that Dubner, a soccer fan who hosts the podcast Footy for Two with his son Solomon, fell in love with the sport at his alma mater, Appalachian State University. The Division I upstart Mountaineers, as it turns out, were coached by none other than Hank Steinbrecher, the former U.S. Soccer executive and all-around soccer patriot who plays a key role throughout American Fiasco. Later, with the announcement of the 2026 World Cup host coming this week, Roger weighs in on whether the joint bid by the U.S., Mexico and Canada has a shot. And, he predicts that -- somehow, some way -- the United States will win the World Cup in 2018.